Jagannathpur Upazila of Sunamganj was named after the Sree Sree Jagannath Jiu Temple situated at Jagannatpur Bazar. 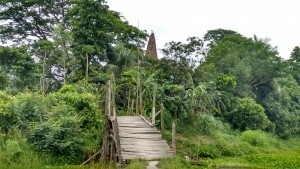 Local people says that it is an old temple. Some people claim it a 150 years old and some other claim, a 300 years old. However, Hindu God Jagannath is one of the most influential among the other gods. So, it’s the most common to see a Jagannath Jiu Temple in almost every hindu locality in Bangladesh. From Sunamganj sadar, there are available auto rickshaws and CNGs to visit Jagannathpur in every half an hour. The temple is situated at the main bazar. It is a bazar area. Local restaurants are available. 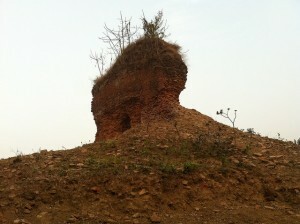 Pailgaon Zamindar Bari is near from this place. You may visit this old place. 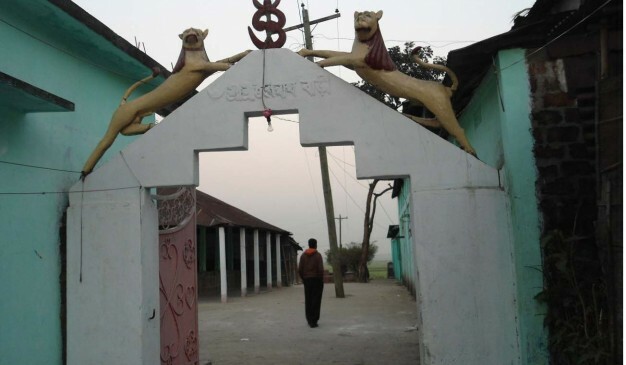 Dolmancha Mandir is located at the place name Dhamsreni about 3 km east from Ulipur sub district of Kurigram district. Now it becomes ruin. This Temple or Mandir is located at the home yard of Braksama Priest who was appointed by (1658-1787) landlord Rani Satyabrati. Here has more some Temple but all of the mare seriously damage by 1897 earth quake. 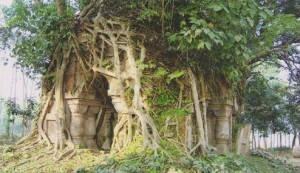 Naldanga Temple Complex was build in 1656 by Maharaj Indranarayan Debroy. The total number of temples amounts to six. The then government rebuilt those, but were destroyed due to riots. Rebuilding process is still being carried on.